Peppermint leaves are used in various preparations and in salads. It is an important component in herbal tea, ice creams, confectionaries, soups and sauces. The fresh aroma of the leaves provides you a feeling of freshness. Peppermint leaves are available throughout the year and therefore you can use them fresh. Peppermint can balance the pH level of the skin and it also checks the production of oil on the skin. So it helps in reducing acne, blackheads, redness of the skin and the rashes on the skin. You may add 2 drops of the peppermint oil to your face wash and wash your face twice a day. The leaves of peppermint were used for the treatment of oily and greasy skin from time immemorial. The presence of menthol in peppermint helps in reducing the secretion of oil by the sebaceous glands in your skin. So it is a natural remedy for keeping your skin free from the secretion of oil. Grind peppermint leaves and make it in to a paste. Apply this on your face and wait for 10 minutes. To get the best results, you may also add some honey to the paste. Wash off with 2water and pat dry. Jojoba oil or aloe vera is also added to the paste. Peppermint contains Vitamin A, C, folates and omega-3 fatty acids, which can fight against the harmful effects of the sun. You can use peppermint paste or use its oil. When you use peppermint oil, avoid applying it directly on the face as it may cause inflammation of the skin. Mix it with oil and apply it. Perillyl is a nutrient in peppermint, which can prevent the formation of cells causing skin cancer. Most of the creams that are applied on the skin contain peppermint because of its soothing effect on the skin. It is used to treat poison oak, poison ivy, rashes etc. It is great for healing the skin. Peppermint is also used in the treatment of athlete’s foot. Take a little of peppermint oil and massage it on your feet. Leave it for overnight. Using peppermint oil keeps your skin clean and protects your skin from infections. Peppermint oil hydrates the hair follicles and helps you in getting a smooth and glowing hair. Peppermint oil is also non-greasy and provides a sweet scent to your hair. It is also used as a hair serum. Peppermint oil has the capacity to repel insects. So applying the oil on your hair helps you to keep your hair from lice. Apply peppermint oil on your hair and massage your scalp well. Leave it for 24 hours before you wash your hair. Do this 3 times a week and you will see that the lice is totally removed from your hair. It you have any irritation of the skin, you can add olive oil to the peppermint oil. When you apply peppermint oil on your scalp, you will get a tingly sensation, which is a proof that the oil is helping in balancing the pH level on your hair. It keeps a control over the oil production in the scalp and keeps your hair free from greasiness. As a result the follicles are activated and the blood circulation is increased. This increases the hair growth. Peppermint oil may be mixed with other oils like coconut oil, tea tree oil or castor oil and used as an excellent hair tonic. It is also mixed with vitamin e oil. Perillyl alcohol and vitamin c present in peppermint helps in preventing various types of cancers. 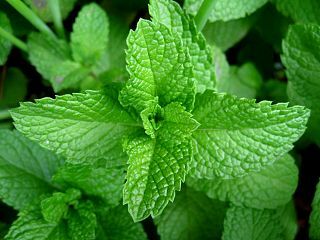 Menthol present in peppermint provides a cool sensation on you skin, mouth and throat when it is applied, eaten or inhaled. So, peppermint is an important component in cough syrups, nose inhalers, lozenges, pain removing ointments, analgesics and so on. You can use peppermint to get relief from cold and flu. The bacteria and virus that cause flu are killed by it and you get relief from body ache. Cough and congestion are also treated by peppermint. It is an important ingredient in the balms that you use on the chest. Peppermint tea helps you to treat sinusitis and congestion in the nasal cavity. Menthol present in peppermint helps in bringing out dried phlegm from the lungs. Peppermint is included in mouth wash, mouth fresheners, tooth paste etc to give you a fresh breath. It is also used in candies and chewing gums. Presence of rosmarinic alcohol in peppermint helps in healing various respiratory diseases, especially asthma. Peppermint extract also provides you relief from various allergies related to cold. The presence of many essential oils in peppermint helps in stopping the growth of certain bacteria and fungi in the body. Peppering is used in the treatment of indigestion, colonic muscular spasms and dyspepsia. This is because of its property to relax muscles. It also enhances the bile flow and helps in the digestion of fat. You may also have it for getting relief from stomach pains, gastritis, bloating and diarrhea. The dietary fiber that is present in peppermint helps in controlling blood pressure of the body and the cholesterol. Applying peppermint oil on your forehead provides you relief from headaches and migraine. Peppermint helps in reducing stress, emotional imbalance and anxiety because of its pleasant aroma. Just inhale its aroma for 30 minutes and you will feel relaxed. It also eases muscular pain and menstrual cramps.